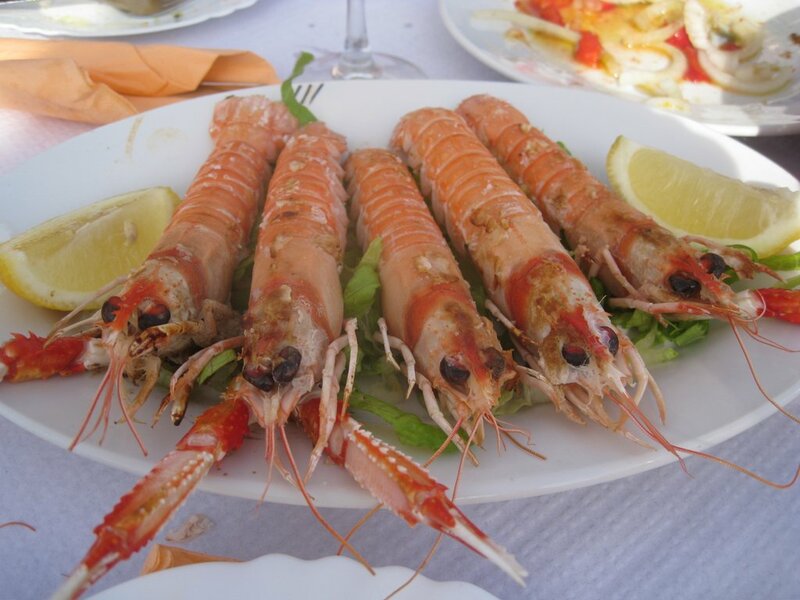 Want to Eat Fish In Portimão? Portimão’s attractive riverside location is more than likely to give you a hankering for some freshly caught fish, but with so many restaurants to choose from it’s hard to know where to head for. One place that’s unlikely to let you down is Dona Barca. This long-established restaurant is located just back from the riverfront in a pretty, half-hidden square called Largo de Barca. Unlike the majority of Algarve restaurants, this place gets properly busy all year round, thanks to plenty of guidebook mentions and a solid local following. As such, it makes sense to get there early to guarantee a table on busy evenings. It’s possible to have a very inexpensive dinner at Dona Barca – choose the delicious local sardines, and wash them down with the house green wine (vinho verde) that comes in carafes of various sizes. Coupled with a couvert of bread, olives and homemade paté, you are sure to leave satisfied. However, if you fancy more of a blowout, take a look at the huge display of fresh fish in the large display counter. Your choice will be weighed and is usually charged by the kilogram. Bream (dorada) and bass (robalo) are good choices. Another great option here is the pork and clams, served in a hinged cataplana dish. You’ve certainly got a healthy appetite if you manage to finish it! It is worth leaving some room, however, because the desserts are truly mouth-watering. Chocolate mousse is a highlight, as is so often the case in Portugal, but there are plenty of other options too. If the restaurant isn’t too busy, don’t be surprised if you’re gifted a free shot of aguardente, the local firewater, when you’ve concluded your meal. Unless you have a high alcohol tolerance, you’ll probably want to accompany it with a shot of espresso to help you on your way!